In a 1999 article, The Los Angeles Times reported that the district attorney’s office decided there was insufficient evidence to charge a preacher when he deposited a bad check for $87,000 and then withdrew funds against it. Apparently, a man had offered the church a $10,000 donation if the pastor would cash the check for him, explaining that he did not possess proper identification. Somehow, the bank cleared the check and the pastor took out about $50,000 in a series of increments and gave it to the man. A few days later, when the bank informed the preacher that the check was bad, the man was nowhere to be found. 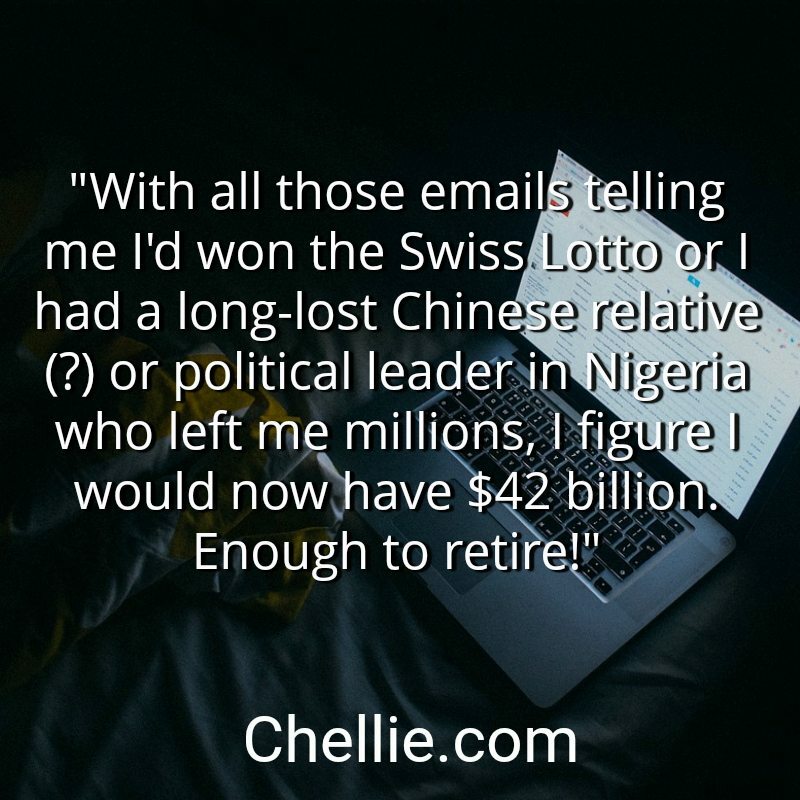 When I owned my bookkeeping service, I once received a letter from someplace in Africa, proposing that they use my bank account in America to wire funds, for which I would receive a 10 percent commission. Since they wanted to transfer $10 million, I would make $1 million! Boy, did that fantasy look good! But that was all it was—a fantasy. 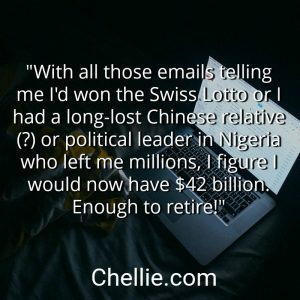 Upon investigation, I found out that other people had acted on this offer, provided the Africans with all their bank information, and then found their accounts totally emptied overnight. When one of my clients later told me he was flying to Africa for a business deal, a chill went down my spine. I asked him details, and as he told his story, I saw that it was suspiciously similar. I told him of my research and showed him my letter. He blanched—it was the same people! He immediately canceled his plans, and thanked God for his narrow escape. There are sharks in the water. Sometimes they’re wearing dolphin clothing. Check their teeth. Happy 4th of July everyone! Celebrate, gather with good friends and good food and enjoy!